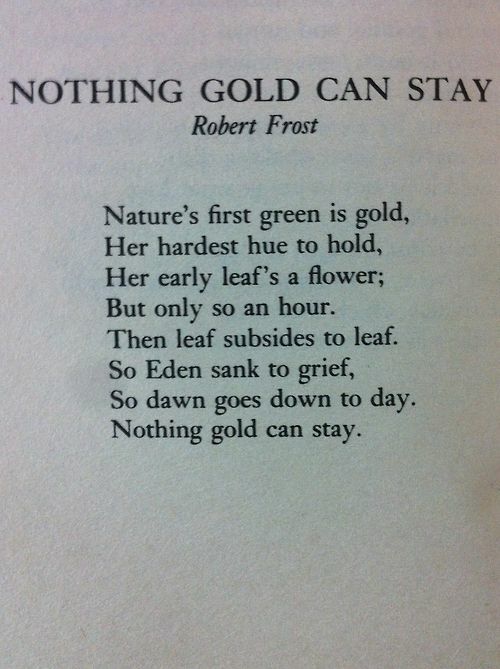 For many years I’ve been enchanted by Robert Frost’s poem Nothing Gold Can Stay. While I admittedly have room to grow in the department of poetry appreciation, this particular work is one of my favorite bits of writing, a gem I stumbled across years ago and continue to treasure. Perhaps what draws me to it is how it captures one of life’s most marvelous mysteries: the passage of time. And so I return to you in my nook of the Web today to reflect on this phenomenon. For those of you who have been with me since the summer, today is the six-month mark of my being back in the United States after my summer in Europe. Time seems a fitting subject for such a day as this. What intrigues me the most about this poem is its collision of moods; it’s evoking and complex, like all of the best things in life. I don’t understand how something can be simultaneously harmonious and conflicting, but that’s how it strikes me. That’s how life is. We mourn for the past while delighting in the present and hoping for the future. We look ahead to maturing and growing while knowing this means the loss of other things we must leave behind. It’s somber and hopeful and beautiful. 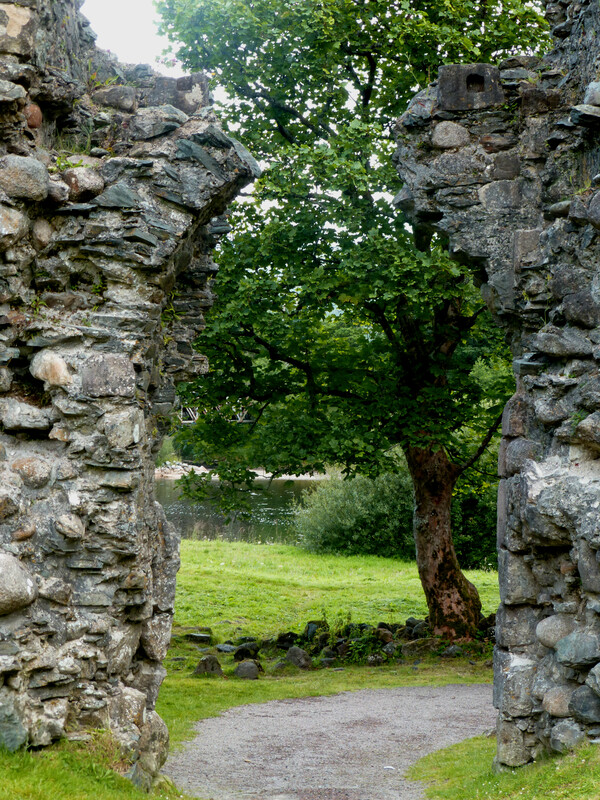 Something that Scotland taught me this summer was an appreciation of things old, lost, and forgotten. In the American haze of the new and innovative, anything slightly less than cutting-edge and exciting is treated as second-rate—only the gold is worth the time. But if it’s true that nothing gold can stay, that fresh sparks will die to a mature flame, then there’s a large, rich portion of life we’re missing out on. Because as this poem shows us, as life should show us, there are better things than novelty. There are deeper feelings than excitement, and greater fulfillment to be found in time. We can keep chasing after the fresh and the exciting, and we may keep finding it, but we’ll also be running away from something else. 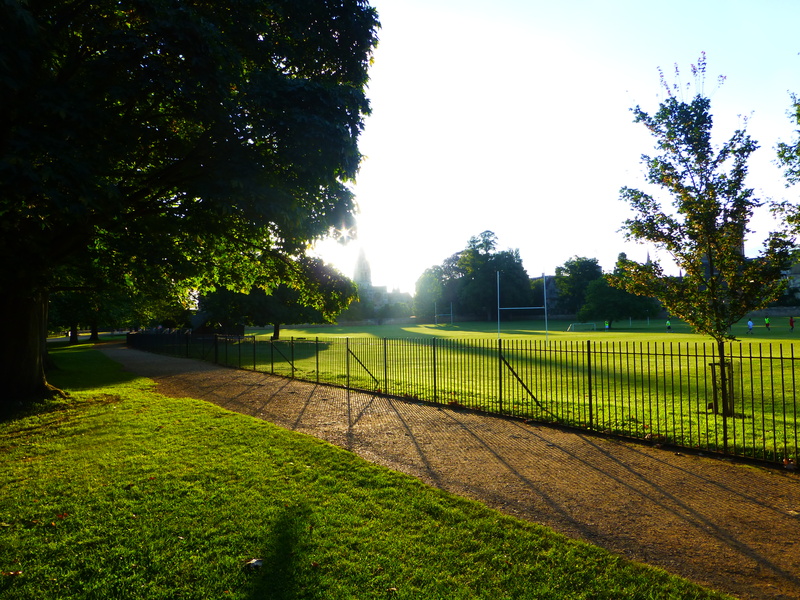 We’ll never bask in the late evening light if we’re still mourning the loss of the sunrise. I could choose to move on and think of this summer as a golden time, a blessing here and gone. But those three months were not merely a time to be enchanted in the moment; they were a formative part of my life that will always affect the way I see, understand, and experience the world around me. My days in Europe may have been limited, but what they mean knows no bounds. The truth is that I am a changed person and nothing can undo that. And so I will choose to move forward to what I know is brighter, armed with the lessons I’ve learned and ready to approach whatever comes my way here. Life now is a different journey, and that’s a good thing. Golden moments in our lives are blessings, short-lived and glorious, and remembering them is certainly a gift. But moving on is a gift too. We just have to see it that way. And what a great epilogue to your trip… and yet not an epilogue at all, as your reflection on time demonstrates. Northernwords lives again! Yay.Your amazing insights continue. Wonderful. I enjoy your writing and passed it on to Larry. Most beautifully written. Thank you, and may blessings be upon you. I sit here this evening some sixty years ahead of your pilgrimage and more in the golden glow of sunset then dawn, but I thank God for the that has blessed the passage of my long life. Golden moments like your beautiful sharing of your journey.